Hey, dudes, there’s one last hurrah for me this convention season, and it’s a doozy! 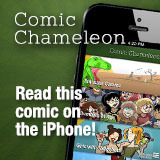 On December 11-12, Dragon’s Lair Comics in Austin, Texas, is holding Webcomic Rampage! It’s Saturday and Sunday, each day beginning with a panel featuring all of us webcomics guests, and culminating in some Webcomics Christmas Shopping. Who’s coming? Danielle Corsetto of Girls with Slingshots! These are all awesome people and Webcomic Rampage is going to be awesome. Be there! Dude!! I live in Austin, Texas. I’m going to try to swing by either/both of those days. Austin?! I can be there! And barring unforeseen oddness, will be there. This is Robbie (the Events Coordinator for Dragon’s Lair) and I just wanted to ask that anyone who is interested in coming, please RSVP on facebook at the link below!